A disappointingly shallow introduction to the shojo manga industry, focusing on one publisher, with a slightly more in-depth look at one title, "Gals." Most of the book consists of an explanation of how shojo manga artists get into the business (in Japan) and work with their editors. Unfortunately, the author apparently wasn't allowed much on-one-on access to the artists (a fact she apologizes for) and apart from "Gals" there's little specific information about any particular manga or manga artist. It also very much reads like an academic thesis, with bland prose and a lot of overexplanation and repetition to pad out the thin material ("in this chapter I will discuss the following..."). For a much superior book on the same topic, read Sharon Kinsella's "Adult Manga". Detailed ethnography of shojo magazine production in Japan. Very big on the publishing houses, not much contact with the mangaka and none unmediated (editors always present). Priceless. I do wonder about some of the class differences between mangaka and editors -- she talks about age/gender in terms of status, but all the editors seem to be college graduates whereas the mangaka seem to start straight out of high school. In the US that would be a huge class indicator, but I'm not sure if it's the same in Japan, especially for women. 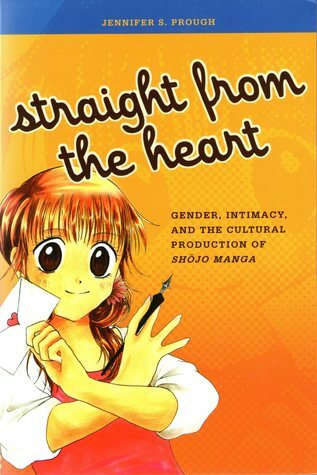 Scholarly and very interesting study of the shojo manga publishing industry. I learned a lot of things I did not know about the role of manga magazines in the Japanese publishing market, the way new artists are recruited and developed, and the gendered nature of the kids' manga world (shojo vs shonen).